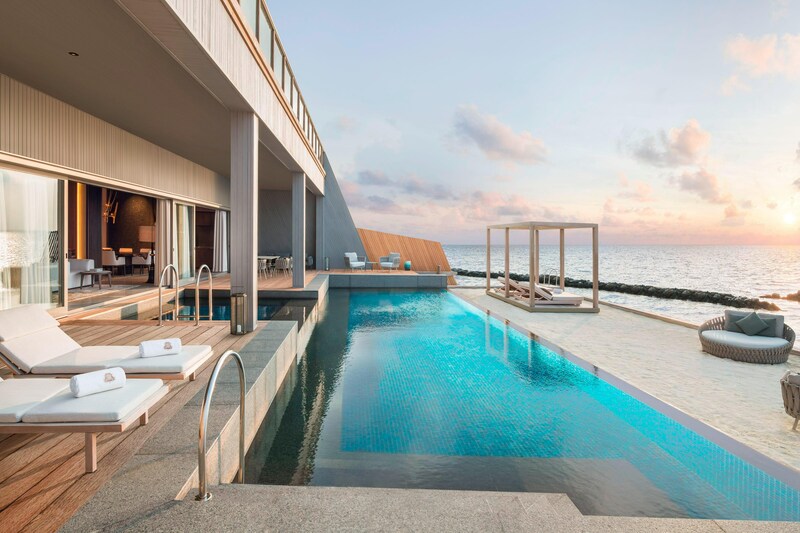 Nestled between verdant rainforest and white-sand beaches on a private island, The St. Regis Maldives Vommuli Resort overlooks the alluring waves of the Indian Ocean. Explore the tropical beauty and rich marine life of this peaceful, eco-conscious setting. Our private lagoon, Iridium Spa and outdoor infinity pool promise nonpareil relaxation. 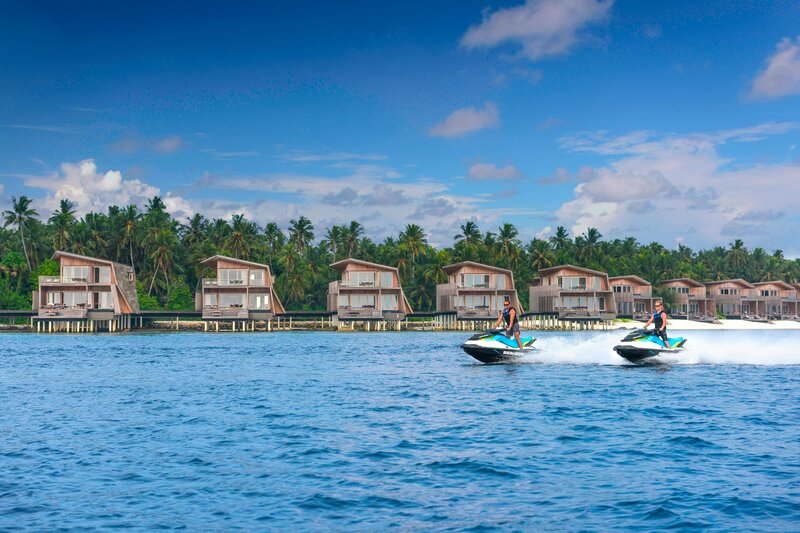 A large variety of water sports and excursions at our diving center can be arranged by our signature service, the butlers. In addition, an exquisite culinary fare awaits at our six restaurants and bars. 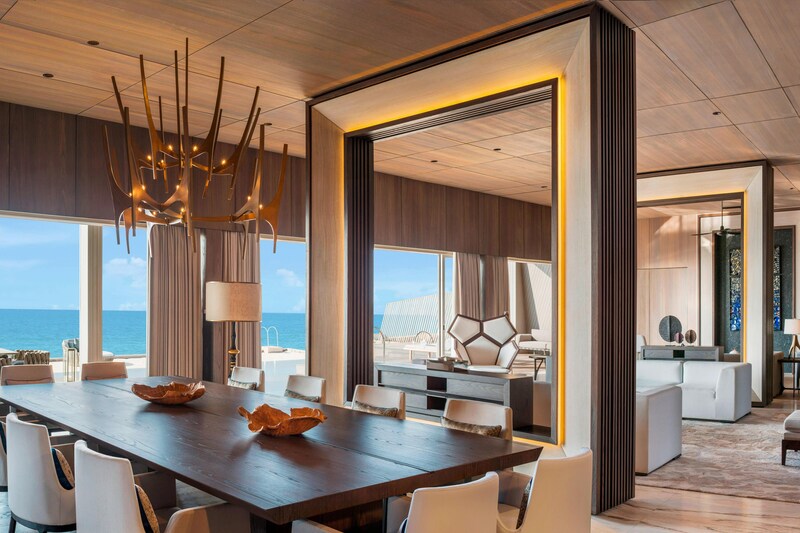 Boasting refined furnishings and island-inspired design, each of our 33 on-land and 44 over-water villas promises picturesque ocean or garden views from private terraces and pools. Our legendary St. Regis Butlers deliver bespoke service day or night. 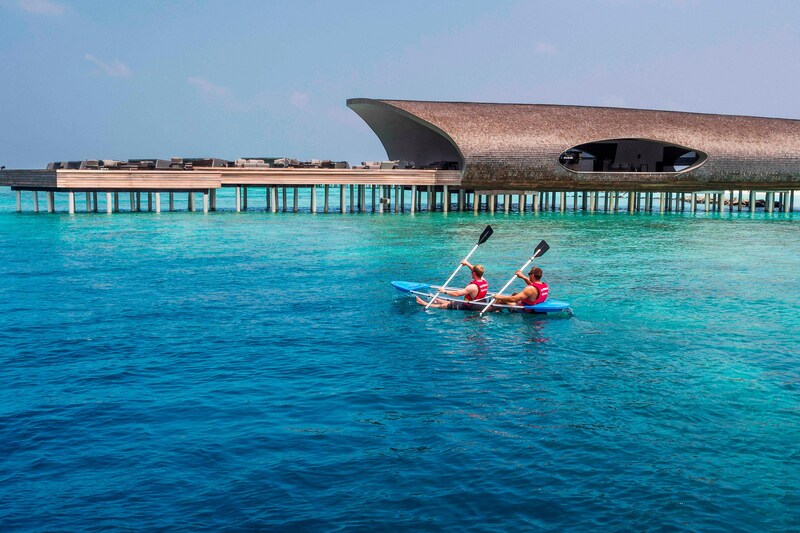 The resort&apos;s architecture was inspired by marine life and the local Maldivian culture. Some notable facilities are the Whale Bar, inspired by the whaleshark, and the Iridium Spa, inspired by the lobster. An architectural marvel emerges from the azure waters of our private coral reef, inviting guests to savor a selection of locally sourced seafood, freshly prepared tapas, wines, and spirits. Iridium Spa at our resort invites guests to enjoy a relaxing retreat with a variety of treatments including massages, body treatments and facials in any of our six couple&apos;s treatment suites - including two Ayurvedic suites with private steam rooms. The Vommuli House which is the largest recreation center in the Maldives was inspired by roots of banyan tree which was a tribute to the banyan tree that used to grow in that place before. Each of its 5 branches offer a unique activity. This is also where the Children&apos;s Club and activities are also located. The pinnacle of luxury living and the largest estate on the island--and the largest 3BR Overwater Villa in the Maldives--is our presidential villa named after our founder John Jacob Astor IV. 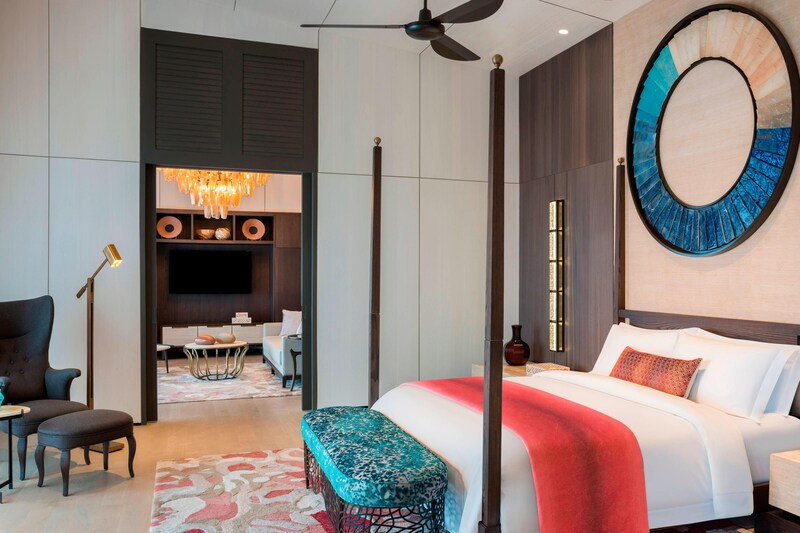 The John Jacob Astor Estate has a private gym, cinema room and spa suites attached to each of the bedrooms, plus three staff quarters, a 92-sqm infinity pool, a jacuzzi and two plunge pools. It also has a fully furnished kitchen and can accommodate up to 12 people. Six distinct dining venues offering sophisticated cuisine from around the world. This intriguing kiosk invites guests to savor epicurean cuisine in the lush environs of the island’s tropical gardens. At Decanter, our opulent underground wine cellar, our Executive Chef and Wine Director complement an exquisite five-course continental menu with carefully curated vintages. Our resort has a full-service PADI dive center and plenty of watersport offerings. The resort also owns one of the most technnologically advanced yachts in the world, which we named Norma as a tribute to John Jacob Astor Yacht of the 1800s. For a memorable cruise around the atoll, guests may book the yacht for excursions or overnight trips. Set on an idyllic private island in the Republic of Maldives, The St. Regis Maldives Vommuli Resort spans nine hectares in the Dhaalu Atoll. 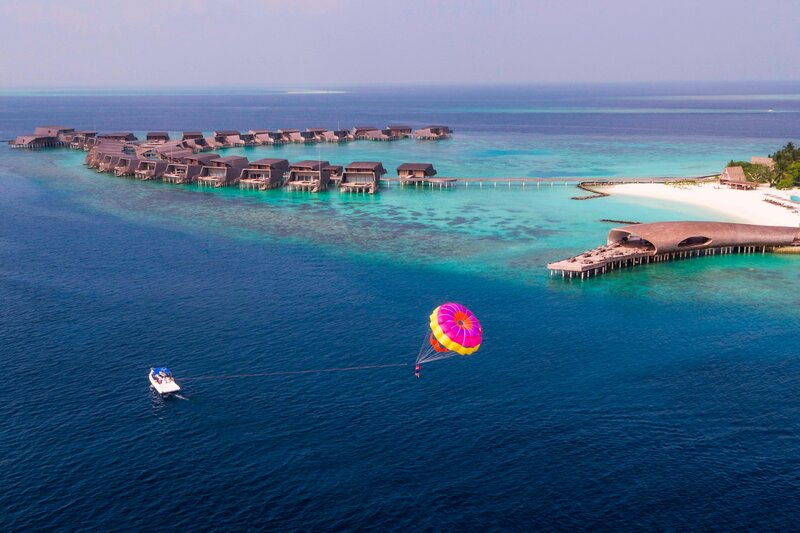 Of the 1,192 islands that collectively make up the 26 atolls of the Maldives, only 200 are inhabited, making this resort a rare gem. An untouched tropical landscape, thickly forested and lined by sparkling sands, a lagoon teeming with sea life, and the azure Indian Ocean, this resort welcomes guests into an exclusive paradise unlike any other.